I've gushed before on how much I love the 1985-86 DC event Crisis on Infinite Earths. 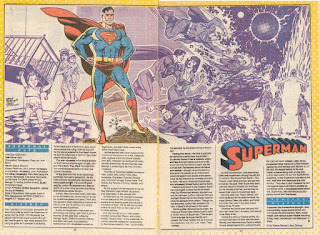 It's one of my favorite comic books ever, and is drawn by my favorite artist of all time, George Perez. But until recently, I don't think I ever realized how much it meant to me on a personal level. Seeing the two Supermen side by side like that opened up a world of possibility for me. I may have always gotten into comics, but whether or not I would have is neither here nor there. The multiverse made me a fan. 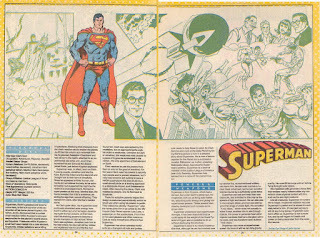 Referenced throughout Who's Who, and almost every DC comic since 1986, was Crisis. But that was before the internet and before the days of regular trade paperbacks, so there was no way for me to read Crisis short of finding the original issues. And so it went, with me just picking up on what happened via flashbacks and references, until Christmas Day, 1998. My mom managed to find the entire set of Crisis at the then–newly opened Comic Odyssey, and then my brother and I opened it and immediately took two seats. He took the first issue, read it, and then handed it over to me, and then I read it while he read the second. And we repeated that process, finishing Crisis within the day. Four years passed and I'd been away from Manila for a year and a half, when they release Crisis in a trade paperback. Since I'd already read and had a copy Crisis, I bought the paperback and gift it to my then-roommate, taking it as a sign to get friends into the hobby. He got into it, and pretty soon schoolmates visiting us just started picking it up and start reading it, asking questions. One of our closest friends spent a whole afternoon just reading Crisis, just from randomly picking it up. A year later, I bought the poster, proudly displaying it in my room. It ended up being a conversation piece, with friends looking at it to just ask, who this or that was. Fast forward to 2007, and I'd moved back to Manila. 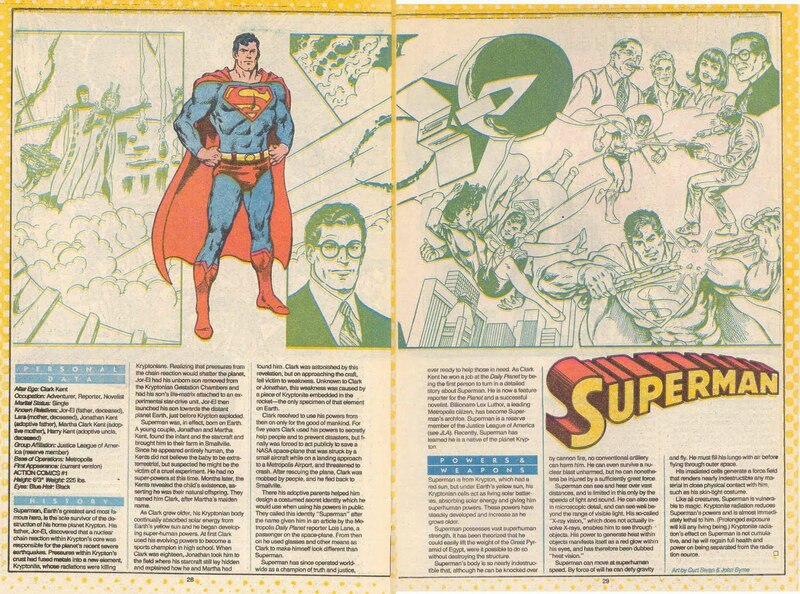 On my birthday, when my family gifted me the Absolute Edition of Crisis on Infinite Earths, a beautiful oversized book with top-of-the-line production quality and a ton of extras. I took it with me a couple of weeks later to the hospital, when I had to undergo surgery. With only my mom to keep me company, I figured I'd read this comic in this lush edition. My nephew was always pretty mature for his age, and even at age seven, you could have a conversation with him without talking down to him. He was the MVP of my 10-day stay in the hospital, talking to the nurses about things I needed, getting what I needed, and keeping me company watching Gargoyles. And then he picked up Crisis. And then he read Crisis, which, if you can imagine a tiny 7-year-old reading a gigantic book, looked funny. (We made a song out of it. It is imaginatively called "Little Man Reading a Book. A Big Book.") So he spent quite a good bit of time reading the comic and asking me questions about the side characters. It was awesome. And I thought that was it, until December of 2017, when the Avengers: Infinity War trailer dropped, and my niece said, "I want to get into superheroes." 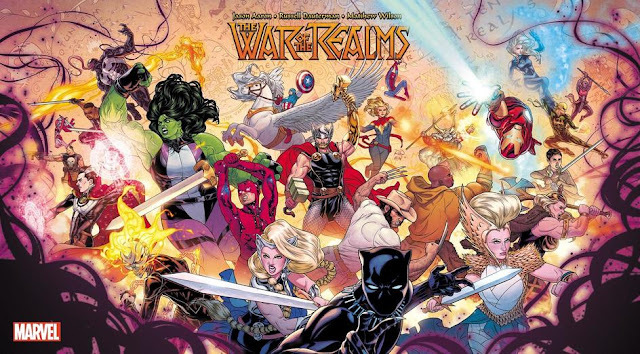 Now my niece reads comics already, but her superhero reading had mostly been things like Jeff Smith's Shazam or Roger Langridge and Chris Samnee's Thor: The Mighty Avenger, meaning self-contained, stand-alone stories focused on one core character and aimed at a very specific audience. So in accordance to her wishes, we had her read the Infinity Gauntlet, also drawn by George Perez. She enjoyed it, but didn't love it, the disappointment being caused particularly by the ending. So to wash that taste out of her mouth, I brought over the Absolute Edition of Crisis on Infinite Earths. Then I pulled out the original issues (my brother kept that one). And we took a break from reading the Donald Duck books (this is our bonding thing) to read Crisis, her with the Absolute Edition and me with the original issues. We do voices and sound effects. Before thinking about all that, I don't think I ever realized just how connected Crisis was to my personal life. Every single time I'd read it or thought about reading it, it's left a milestone of a memory. They are distinct experiences, and they're always tied to people I've cared about. Years ago, I named four comics that helped shape my life. I never named Crisis. I took it for granted. And maybe Crisis never changed the way I thought about stuff, or inspired me to create something, or drove me to be a better person. But it did affect and color my relationships with people I cared about.